Welcome to the April Make ART Challenge!! WooHoo!!! We're so excited to have you with us today and to be celebrating all things Wendy Vecchi!! The challenge ends on Thursday, April 30 at midnight (EST). A random winner will be selected from all of our participants and announced here on the blog on Friday, May 1. You may enter multiple projects, however, your name will only be entered into the drawing once. This month's sponsor is...Stampers Anonymous! 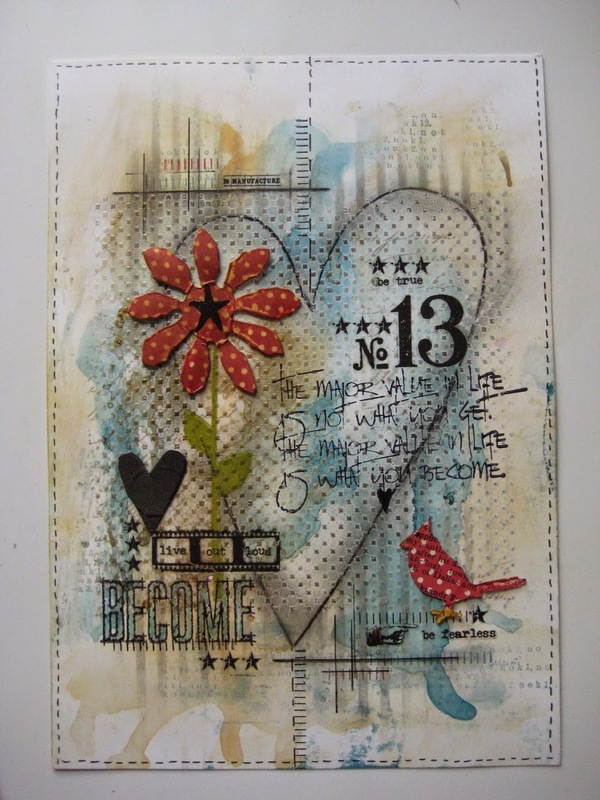 Stampers Anonymou will be awarding one winner, chosen from a random drawing, a selection of Wendy Vecchi products! Grab any of Wendy's Archival Re-Inkers, in all of those beautiful colors, and show us what you can do with them! Create a background, color some embellishments, color your stamped imaged, ribbon, and more! We can't wait to see what your projects! Interested in Wendy's beautiful creation? You can read more about how she creates her yummy re-inker backgrounds below..
Archival reinkers are GREAT, useful tools. Obviously, their main purpose is to reink your Archival pads. They are also perfect to color embossing pastes before spreading the paste thru a stencil. Use your Mix & Store Jars to make and store custom colors…mix right in the jar so there is no clean up & NO waste of the paste! The jars keep the paste fresh! Use lots of alcohol if you’re working on a manila tag or art journal page…use less alcohol if you’re working on Specialty Stamping Paper. The difference is that the manila will soak up the fluid…the Specialty Stamping Paper will not absorb the fluid…it sits on top...and that's what helps to create the beautiful patterns. 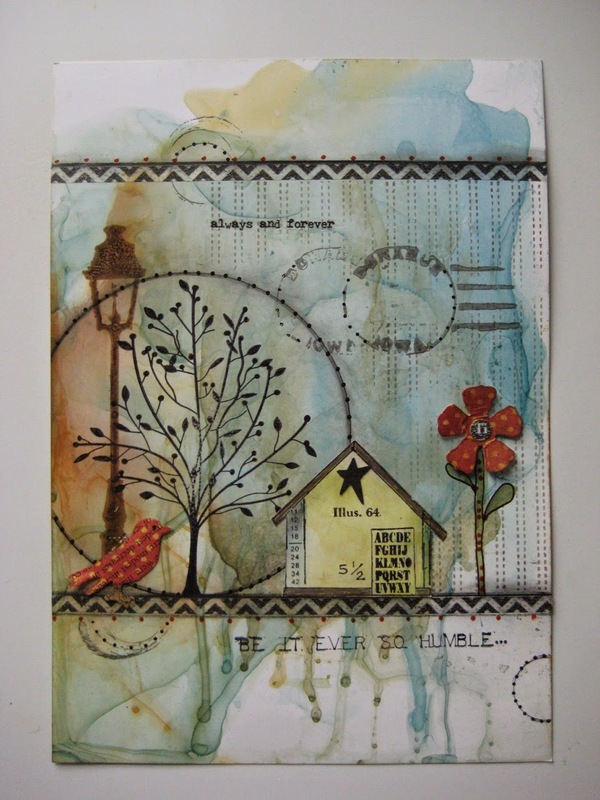 Here's another one of my favorite art journal pages created with the Archival Ink/Re-inker technique. Enjoy! Interested in sharing your ART? 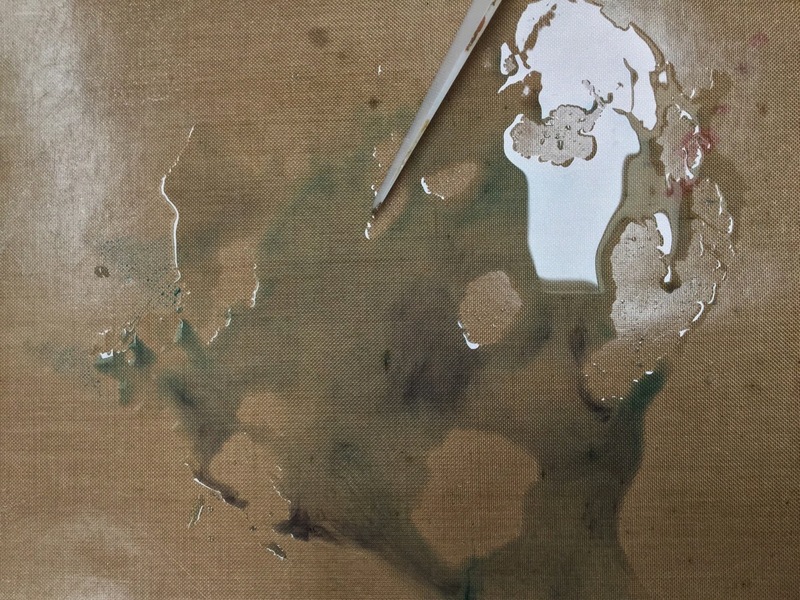 We'd love to see what you create with Archival Re-Inkers! To share, just add your blog post (the specific post, please) link below. Once your project is listed, you'll be entered into our drawing. Thanks so much for playing along this month! I think, this is what I was waiting for. I tried Wendy's signature Reinker technique twice and thoroughly enjoyed it. Gorgeous inspirational projects by her. we'll be waiting to see what you create! I love this technique...heck I LOVE all her techniques! You always show us the best techniques!